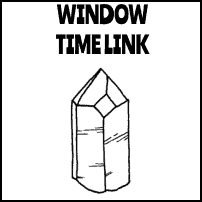 A Window or Time Link is a crystal with an extra diamond-shaped facet. By counting the facets or faces on the crystal, you will determine if you have more than six. If you do, you have a Window. This is a difficult crystal to read. It may take some practice to master this skill. 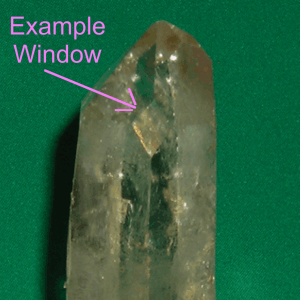 Windows are one of the most commonly misidentified crystal configurations. Window crystals (Time Links) are good for scrying and accessing other realms, as well as for accessing our own soul (window to the soul). 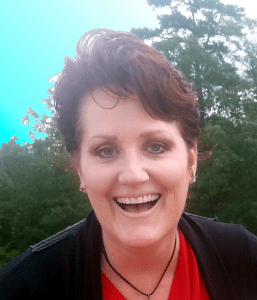 You may work with a window as an entry point (a way to get into an area). Window crystals also provide another point of access to an area that you might not have considered.